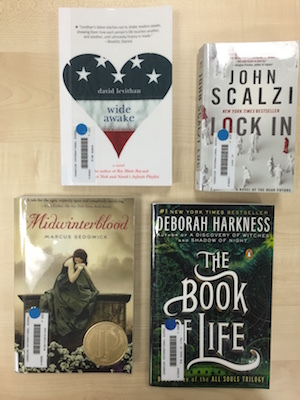 There’s still time to borrow a book from the library! Do you feel like reading a novel that will make you laugh? What about one that has you reaching for a tissue to dry your eyes? Do you want to read a book that will keep you flipping the pages and ignoring the texts from your friends? How about an epic adventure? You’ve got so many options!! I know that hardcovers can be difficult to lug around with you. But while you’re on break next week, why not grab one of the hardcover books (or grab the series) and just read it while you’re at home? 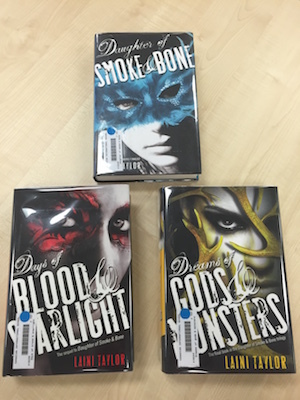 Of course we’ve got paperback books for you to read as well…check one out! We’ve got classics (is Harry Potter considered a classic?!) and we’ve got our newly arrived books, too. And don’t forget about OverDrive; you can always read an eBook to relax over the break! I’ll be reading books via OverDrive because my iPad is easier to carry when I travel!